I live in the Ottawa Valley, Ontario. I attend many shows across Canada and the United States. 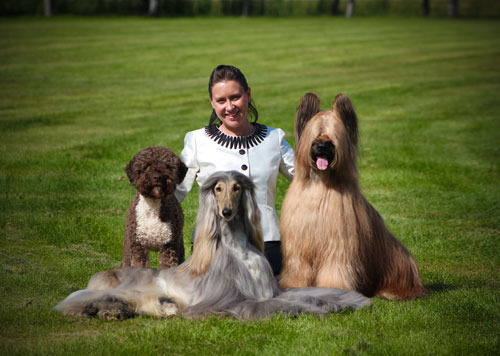 I have also attended multiple World Dog Shows, shown in Europe and Australia. I am a member of the Canadian Kennel Club, English Springer Spaniel Club of Canada, and Lagotto Romagnolo Club of Canada. I would like to take this opportunity to thank the many amazing people that have opened up their hearts and minds to me and have enabled me to excel at what I love. They have given me wonderful opportunities, without which I would not be who I am or be able to successfully do what I do. Growing up in a "dog household," I was brought into the dog show scene at a very early age. I was hooked almost immediately, and this interest grew over the years into a very strong passion for the sport, and the dogs. Together, my mother Nancy and I co-own Springsport Kennels. It has been home to English Springer Spaniels, German Shorthaired Pointers, American Cocker Spaniels, and Lagotto Romagnolo. 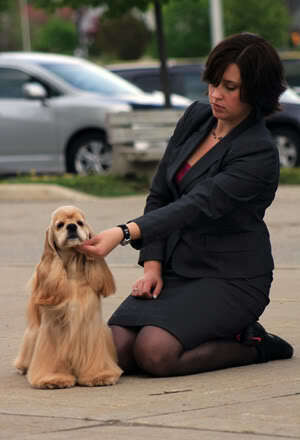 We have been successful in having multiple Canadian Champions, Obedience Champions and Therapy Dogs. I was encouraged early on to participate in Junior Handling, and I feel it was one of the most beneficial things I could have done for myself, and for my handling career. I did very well, and always tried to handle dogs of different breeds and experience levels. Thankfully, I had many friends and mentors who supported me and were willing to teach me what they know. The knowledge and skills that I developed through Junior Handling, and working for handlers from both Canada and the USA, have enabled me to continue showing and become a successful professional handler. I strive to bring out the best in every dog I show, and I work with them to create a winning team.